The process has, among other things, led to recognition of a right to unlock a cell phone so it can be used on another network and to circumvent DRM on DVDs for certain teaching purposes, and the right to circumvent DRM on ebooks to allow them to be used with screen readers to assist the visually impaired. That role has thrust the Copyright Office — and by extension the Library of Congress — into a pivotal position in shaping U.S. technology policy, and in particular the intersection of copyright and technology. 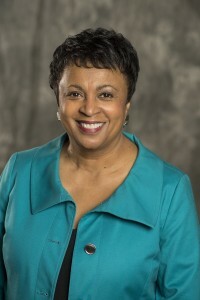 So when President Barack Obama this week nominated Dr. Carla Hayden as the 14th Librarian of Congress copyright owners immediately took notice — and in some cases alarm. Hayden, currently CEO of the Enoch Pratt Free Library in Baltimore is well known in library circles as a technologically savvy advocate of open access to information. She is also a former president of the American Library Association, an organization that has often been at odds with copyright owners over issues such as archival copying, digital rights management, fair use and orphan works. Hayden has also shown herself to be unafraid to take on powerful interests. As head of the ALA in 2003 she was an outspoken critic of the USA Patriot Act, in particular section 215, which came to be known as the “library provision” and allowed the FBI to secretly demand access to individuals’ library records (it was later used to justify the widespread collection of phone metadata). The U.S. Copyright Office, on the other hand, has long been viewed by many advocates for greater protection of the public domain as overly sympathetic to copyright interests. It’s current head, Maria Pallante, is the former White House Intellectual Property Enforcement Coordinator (IPEC), charged with overseeing all of the government’s efforts to combat IP theft. As it happens, the Copyright Office is currently at work on a massive, congressionally initiated review of the DMCA, in particular Section 1201 (the anti-circumvention provisions) and the Section 512 safe harbors that shield online service providers from liability for copyright infringement committed by their users. As discussed here in a previous post, the Section 512 review in particular could go a long way toward reshaping the long-running and increasingly heated legal battle between copyright owners and technology providers over the scope of the safe harbors and obligation of digital platform providers to police their platforms for infringement. Copyright groups are already in a flop sweat over Hayden’s potential influence on the historically pro-copyright tilt of the Copyright Office. As a tactical political matter, the RIAA’s statement could hardly have been more clumsy. Hayden hasn’t even been approved by Congress yet and the RIAA made itself appear to be picking a fight with her, not to mention with the White House. It probably didn’t win them any style points with Congress, either. But it’s a measure of the stakes that the RIAA would go off half-cocked like that.